Monday was our pre-budget Group meeting with plenty on the agenda, and very well attended. Tuesday was Budget Council. At 1.9% (the Libdems shamefully abstained) our Council Tax is set to be the lowest outside London in the entire country. The Taxpayers Alliance came to visit and witnessed the passing of our motion that endorsed their, and George Osborne’s call for greater transparency in the public finances. The prop in the picture is the list of all of the Council’s invoices over £5,000 for January (and we are going to run the report down to the £500 level when it goes live). Wednesday we were lucky enough to be invited to talk to Shadow Chancellor George Osborne about our motion and how we’re likely to implement it. Adam Afriyie and Theresa May joined us to inspect the long invoices list earlier. Thursday was Cabinet where we passed the decision to pilot Recyclebank was passed and we hope to get that all going later in the spring. And today I visited Hammersmith and Fulham and saw how their Business Watch operated in Shepherd’s Bush Market, and also discussed how they continue to cut their council tax by 3% a year! The Taxpayers Alliance has published information about middle management salaries at Town Hall rocketing. The headline is undoubtedly true and reflects the amount of money that NuLabour have put into the public sector – which can’t be easily argued to contribute to a vibrant and growing economy. It’s inevitable that hundreds of different organisations will structure themselves differently. It’s not an excuse to hide information, though, but it definitely falls on the cockup side of the cockup/conspiracy test. So, hmm, let me think, who would pay for operation and maintenance of such a website? The taxpayer … ? But isn’t that what TPA is doing on behalf of taxpayers already (thus achieving the same goal at no cost to the taxpayer!). Yes, let’s have common standards, and yes, let’s make it easier for local authorities to be held accountable for their salaried expenditure, but risking the state bureaucracy and maintenance costs of setting up somebody to run a centralised database – which would have to be “secure”- let’s be careful for what we wish for! 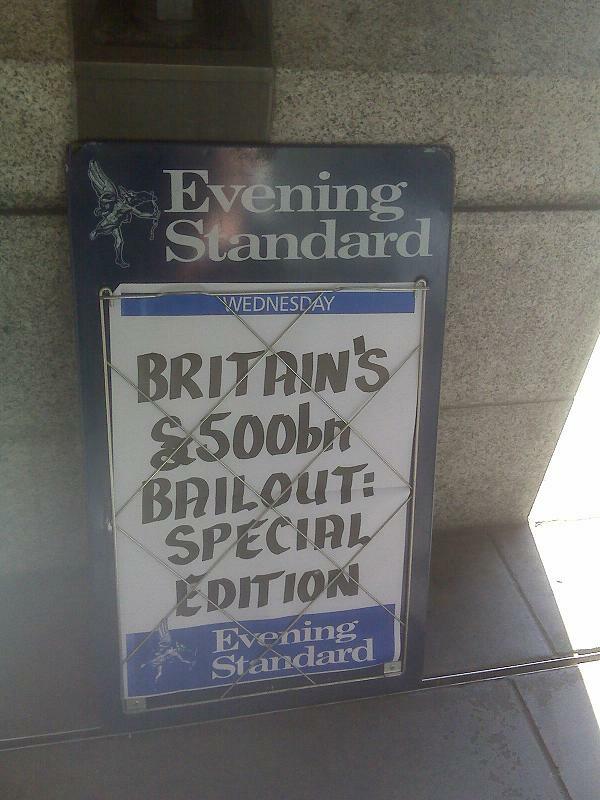 I haven’t got the time to do this justice, but before the credit crunch began I would not have predicted this headline. Amazing. Although I’m not happy that inflation is creeping up and prices are rising, I cast a wry smile at the news that February’s CPI (the Bank of England measure) hit 2.5%, which is higher than our February (for April 08-Mar 09) Council Tax increase of 2.4% ! Our benchmark is, and remains, the September RPI inflation figure which is linked to pensions uplift, but the fact that we’re also emerging to be under February CPI as well is a nice bonus. What a terrible budget. Tax cut – hooray, in theory, but in practice Gord is hitting the poorer earners whilst taking slightly less from medium earners. For a Labour chancellors, taxing the poor more seems perverse, but if it increases the dependency culture (where those who depend on the State will not vote for any diminished support) it might explain it. There are plenty of other places where the budget is dissected here here and here. published this morning makes interesting reading. Well, it does if you’re sad enough to be knowledgeable about local government finance. Nottingham City Council was subject to capping in 2004–05. The implications of that year’s threshold for them could not have been known before the tax was set. However, the council was capped even though the cost of issuing new council tax bills was larger than the tax savings of £2.48 per band D household. Also encouraging was that local councillors are more ‘trusted’ than newspaper journalists, MPs (in general) or top civil servants! We aren’t as trusted as ‘your local MP’, television journalists or judges, however. Work to do! This, if proof were needed, in black and white, is the Council’s ambition – to go on increasing Council tax as much as possible. Indeed, if this were not sufficient proof, the Liberal Democrat’s Financial Strategy then goes on to talk about the level of future increases when considering capping. So when they say they want to keep Council Tax down, do you believe the rhetoric or the reality? Cllr David Hilton and I visited Wandsworth a couple of weeks ago to see how they keep down Council Tax to just £355 at Band D. Here is a photo of us meeting Cllr Maurice Heaster, their Deputy Leader and Executive Member for Finance. It was a valuable not just for the content of understanding their maintenance of a low Council Tax, but because the whole ethos of the place was so refreshing. The Members have their policies and they make it happen. If things aren’t working with a supplier, or with a Council department, then the Members change it up until it does work! Wandsworth have managed to have zero increases in tax for the past three years – their overall bills keep going up because of Red Ken’s empire which is ever growing, though! It is true that they receive more grant, but they are stuck at the funding floor just like the Royal Borough. For some reason our visit has occupied the minds of our local Liberal Democrats, who, at Tuesday’s Budget Council had obviously been doing (or had been given) research into current issues in the London Borough (as if this were at all relevant). Our grants are totally different, but we can use what we learnt in Wandsworth to keep the pressure on our Council tax more “down” than “up”. 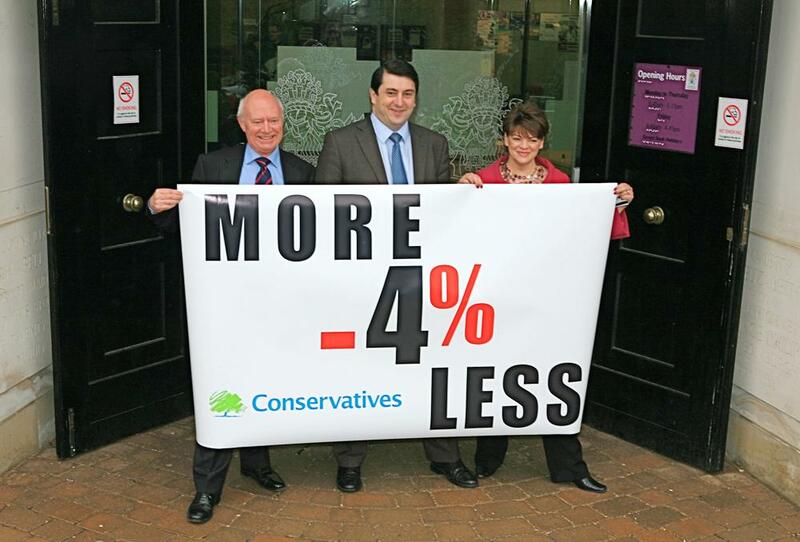 Here is Cllr Heaster holding ConservativeHome‘s award for low tax.